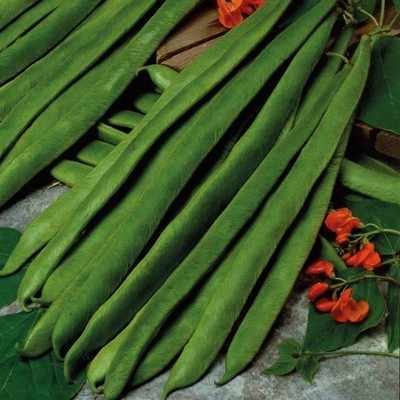 Heavy crops of long smooth textured dark-green 30-37cm (12-15in pods). Excellent for freezing and exhibition. Heavy crops of long smooth textured dark-green 30-37cm (12-15in pods). Excellent for freezing and exhibition. Scarlet Emperor has been a favourite for decades it yields long, straight pods of excellent flavour.